Gas grills have become increasingly sophisticated in their capabilities. In the 1950s, the gas grill, a modern convenience, was made popular. It not only brought to market the cart-like styles still prevalent today, but it was the first to use propane as a fuel source. Gas grills have become increasingly sophisticated in their capabilities. Today’s gas grills include rotisseries, smokers, and side burners to allow the user to cook beans in a pot while the main course sizzles on the stainless-steel grates. Due to the variety in size, fuel source and price, this guide will help determine what features and units will best fit any situation or need. Large gas grills often sit on wheels, but they don’t have the freedom of movement that smaller charcoal grills do. 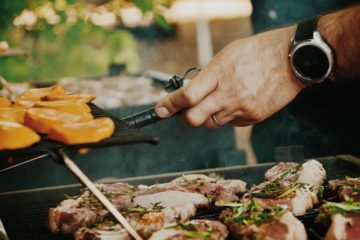 Permanent or portable locations, ease of access, and safety measures are the first considerations to make when selecting a gas grill. Most gas grills are large cooking appliances that weigh more than 100 pounds. These models are semi-portable and have knobs for ignition and temperature controls on the front. The ignition works on a battery and creates a spark that fires the fuel. Large gas grills often sit on wheels, but they don’t have the freedom of movement that smaller charcoal grills do. Many units include fold-out trays on either side to hold cooking ingredients, condiments, and grilling tools. 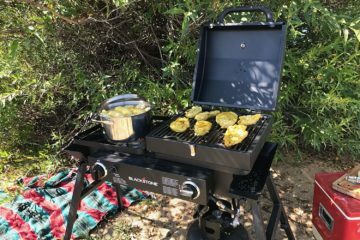 Portable gas grills have become popular with renewed interest in camping and the outdoors. These models are scaled-down versions of their large-cart cousins, featuring retractable legs and a nozzle attachment geared for smaller tanks of fuel. Many traveling gas grills also have trays to hold your supplies. 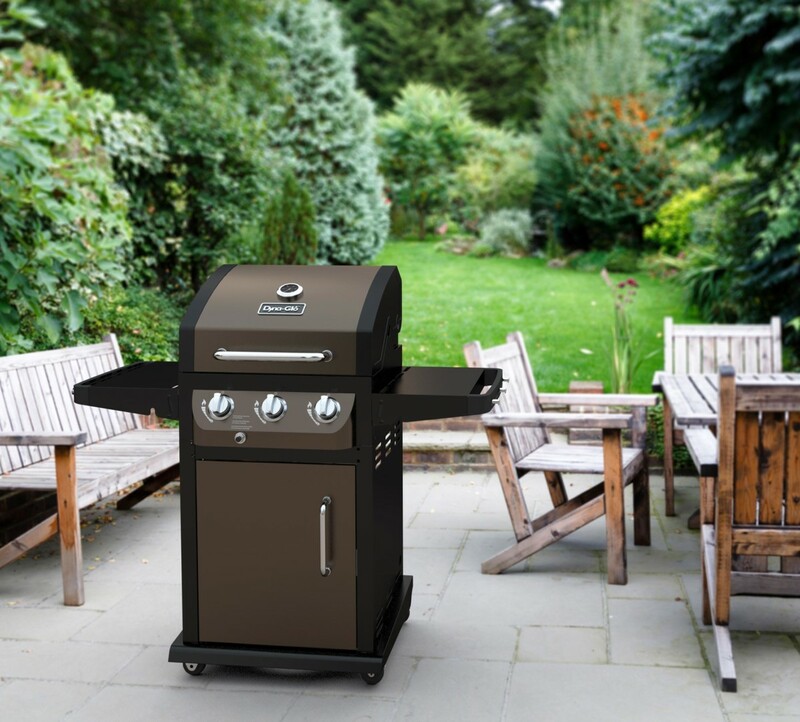 Table top gas grills with smoking capabilities contain a smoker box that holds wood chips or pellets that, that when burned, add a rich, smoky taste to your meat, poultry, fish, or vegetables. Propane or Natural Gas ? Gas grills can have from one burner to five or more sources of heat. Grills with multiple burners are ideal if you’re feeding a large crowd or plan on cooking something bigger than standard steaks and burgers. In nearly all cases, gas grills get their heat from propane or natural gas. Propane is a refined by-product of natural gas, which comes in tanks that are attached to a grill through a hose and nozzle. Users will want to make sure that the nozzle is tightly secured to the receptacle on the grill to avoid fuel leakage and harmful emissions. Those who live in homes that use natural gas can add another line (usually in the backyard) through which natural gas flows directly to the grill through a control valve. This connection forgoes the inconvenience of needing to purchase a propane fuel tank, as the supply of fuel is uninterrupted. 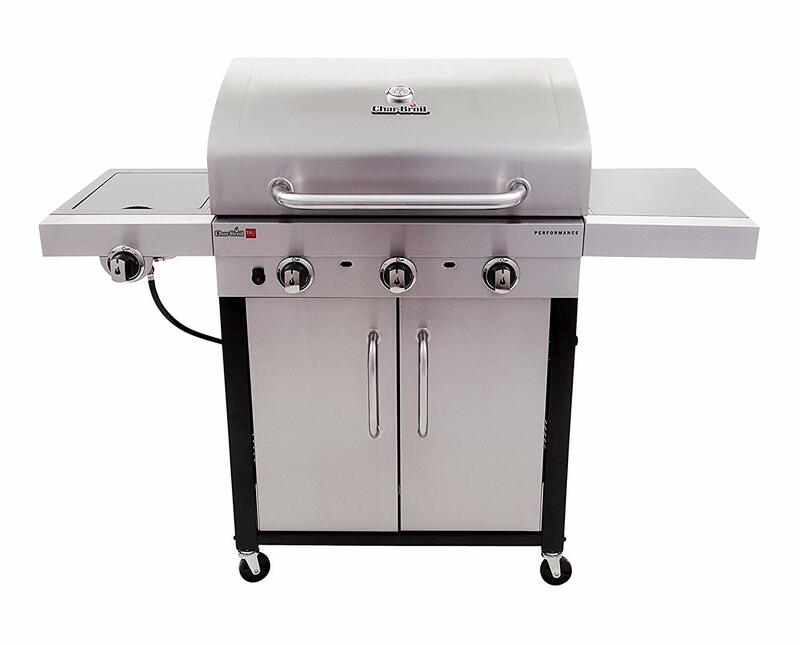 Many gas grills have conversion kits which enable a unit to be quickly switched between natural gas and propane. 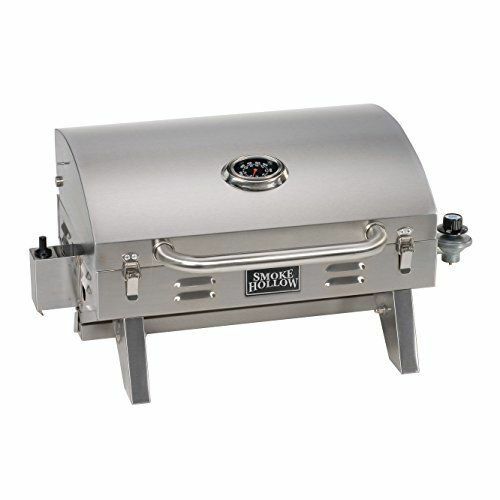 Smoke Hollow 205 Stainless Steel – a sub $100 Grill. Great Value for Money. Gas grills found under $100 are typically table top models that operate on small propane canisters, and feature one or two burners. Moving up in the price range toward $150 will feature larger cart-sized gas grills with one or two burners at most. 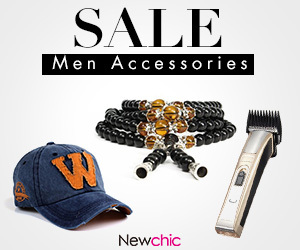 Portable gas grills in this price range most likely have two burners and are more sophisticated. 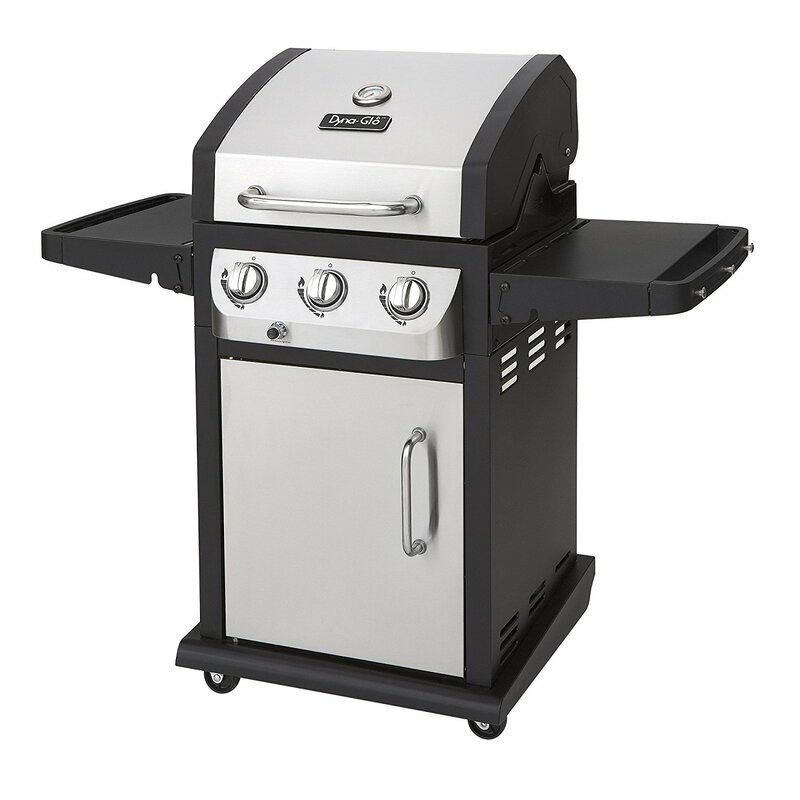 There are small flat-top grills within this price range as well. 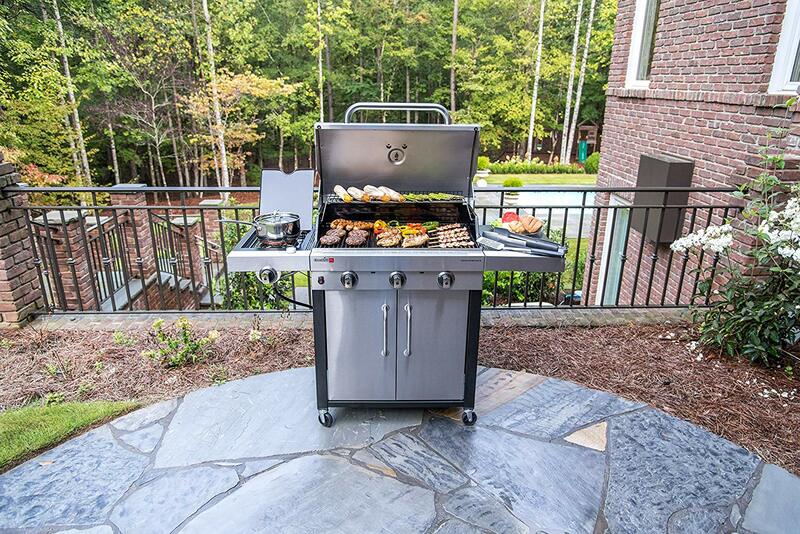 The premium class of gas grills can go up to $500, with larger units boasting three, four, or even five burners. Some have infrared heat that allows you to cook food on a motorized spit and/or side trays to hold tools and ingredients. 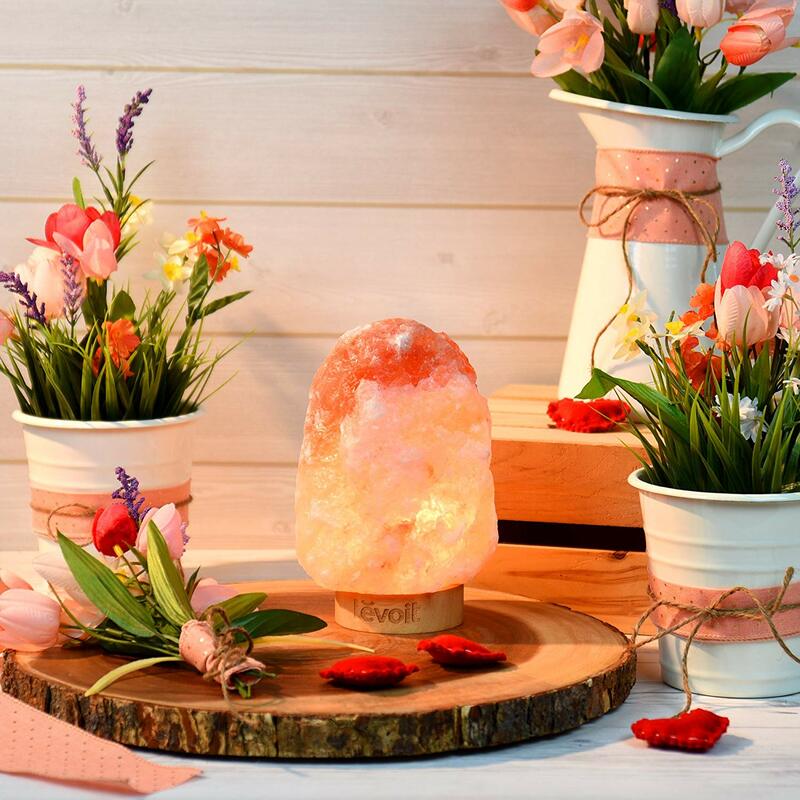 Larger grills in this price range put off a tremendous amount of heat – up to 32,000 BTUs per hour, which is four times the amount of cheaper and portable models. Gas grills that hover close to the $500 mark may also include additional features, such as smoker trays and flavour bars that allow for soaking herbs and adding them to the cooking process. A best-selling unit from the premier g rill brand, the Weber 49010001 Spirit II E-310 Black NG Outdoor Gas Grill provides three spacious burners, easy-start push button ignition, and cooking capabilities that make grilling a pleasure. 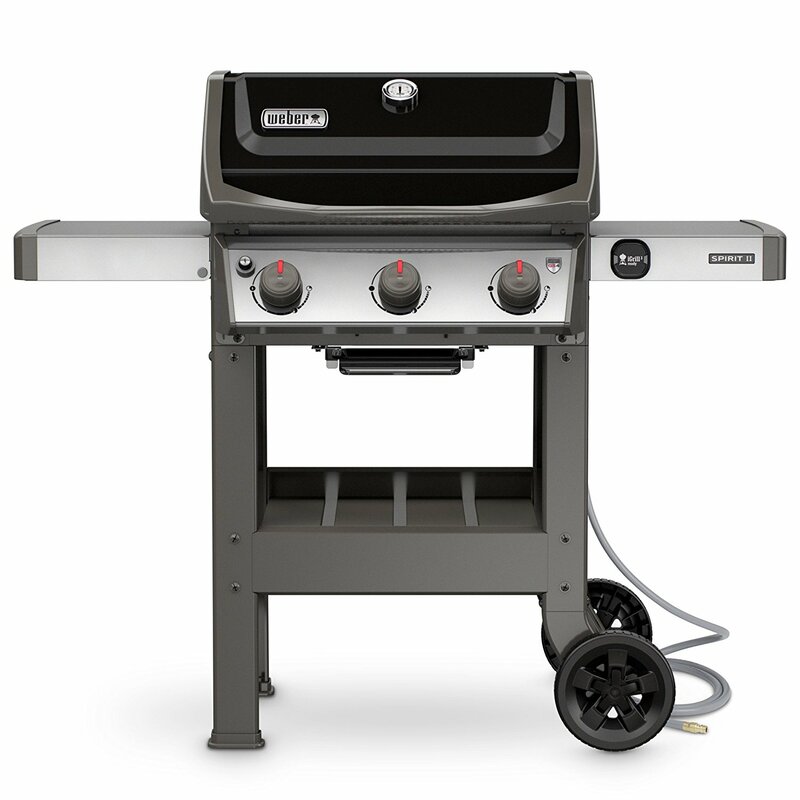 The Gs4 grilling system includes improved infinity ignition, burners, porcelain-enamelled Flavorizer Bars, and grease Management system.Users must be vigilant as faulty fuel gauges and rust have been reported. 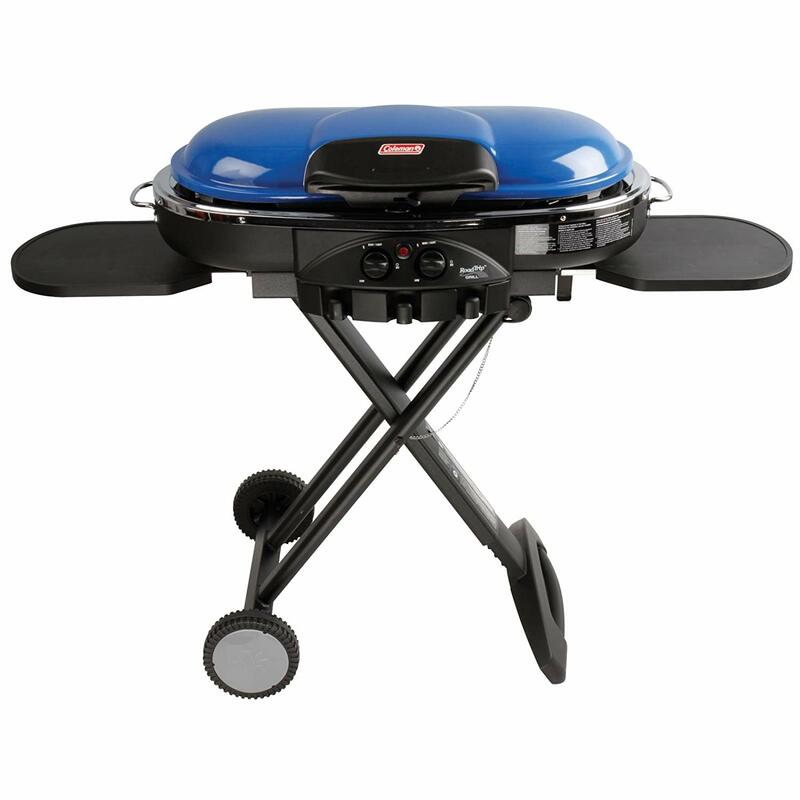 Coleman RoadTrip® LXE Propane Grill. This is a compact and portable unit that stays hot and is easy to use.The cast-iron grill grates are durable, and the two-burner system also allows for direct or indirect cooking. However, this model can be tricky to clean. The painted steel in the lid and bowl is not as durable as desired, nor is the chrome steel of the cook top. For a larger cooking surface, the Char-Broil Performance TRU Infrared 500 3-Burner features 500 sq. in. of grill space. This model includes a warming rack with swing-away capability when not in use and features infrared heat for even cooking. Some owners have experienced a feeling of less durability compared to older models, particularly the sheet metal of the cabinet panels. 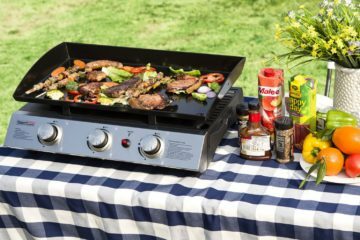 The Dyna-Glo Smart Space Living, 3-Burner LP is easy to assemble, and quickly provides heat with a compact portable size. Users should be aware of the issues of the lower cost model, which does not withstand weather as well. Rust is an issue, even when stored away from rain and moisture, and the igniter can become dysfunctional. 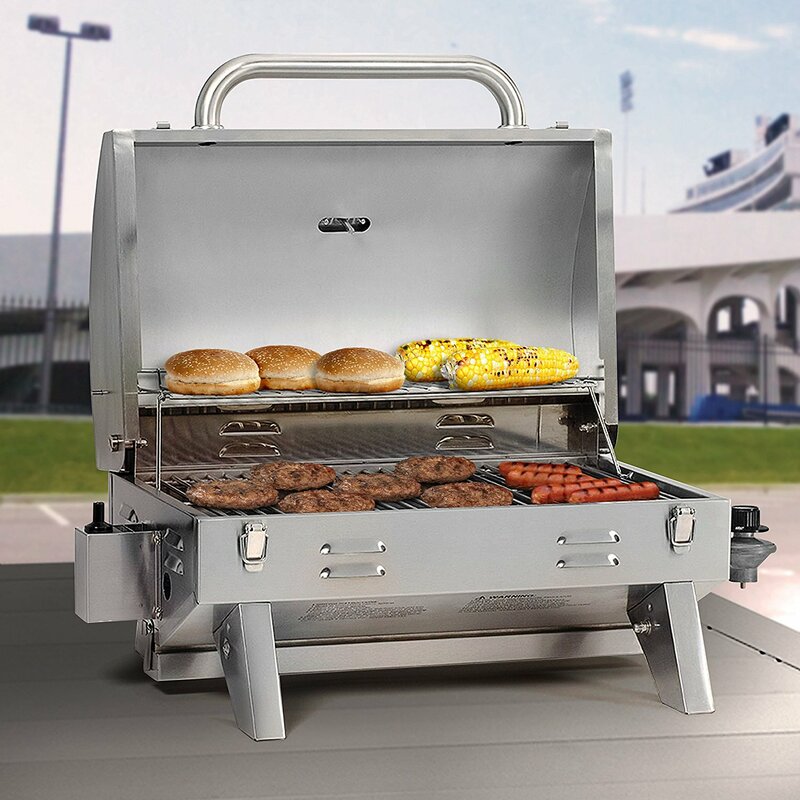 Despite a few design flaws, the Smoke Hollow Portable Stainless-Steel Propane Grill is a viable portable option. This unit offers 305 sq. in total cooking/warming space and is encased in a solid stainless-steel housing that fits nicely on table tops. The Smoke Hollow tends to cook hot, requiring close attention to prevent burning food. It will potentially take several attempts to start, and the starter sticks out awkwardly from the unit. There is a lot of advice available to maximize the use of your gas grill, and it helps to start with some basic tips. Users will first want to preheat their grill. Most gas grills work by turning on one burner to start the gas, and then hitting the ignition button to create a flame. Once the heater is on, turn on the other burners as needed. Preheat for about 10 minutes or until the grill reaches 500°F (or 350°F for indirect cooking). 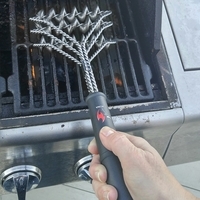 Once the grill has been preheated, a wire brush can be used to scrape off any grime left from previous cooking. The grates can be lightly oiled to prevent the food from sticking to the surface, and canola or peanut oils will have a higher smoke point. To avoid losing excess juices, turn over food items with tongs; using a fork will cause fluids to flow out of your meat. Never press down on your food, as that will cause juices (and flavour) to be released as well. Limit your flipping to once per cooking session; too many flips will result in uneven cooking. With larger cuts of meat such as a rib roast, one may consider the indirect method of grilling. This can be done by placing your food over a burner that is either off or on low. Five to ten minutes should be added to the overall cooking time if the lid is opened often. Allow your food to rest before serving it. Meat, fish, and poultry will continue to cook after it has been removed from the grill and resting allows the flavour to be distributed evenly. First ensure that the grill is completely cool, and that the valve to the propane tank or natural gas line is off. While waiting for it cool down, fill a few buckets with warm water and dish detergent. Remove the drip pan and heat shields and remove the cooking the grates to be soaked in water. A clean rag can be used to loosen debris and gunk from the inside of the grill, while a wire brush is best for burnt-on material. After soaking the grates, use a rag to remove any particles that did not come off during the soak, and place the grates aside to dry. Once everything has dried, put the pieces back together. The more often the gas grill is cleaned, the longer it will last, especially at the end of heavier usage seasons. How far should my gas grill be from the house ? The grill should be placed a minimum of 10 feet from the home. It should be stationed away from deck railing and overhanging branches. When lighting a gas grill, should the lid be open or closed ? Be certain your gas grill lid is open before lighting it. What do I do if the flame on my gas grill goes out ? When the flame goes out, turn off grill and the fuel source and wait at least five minutes before re-lighting it.